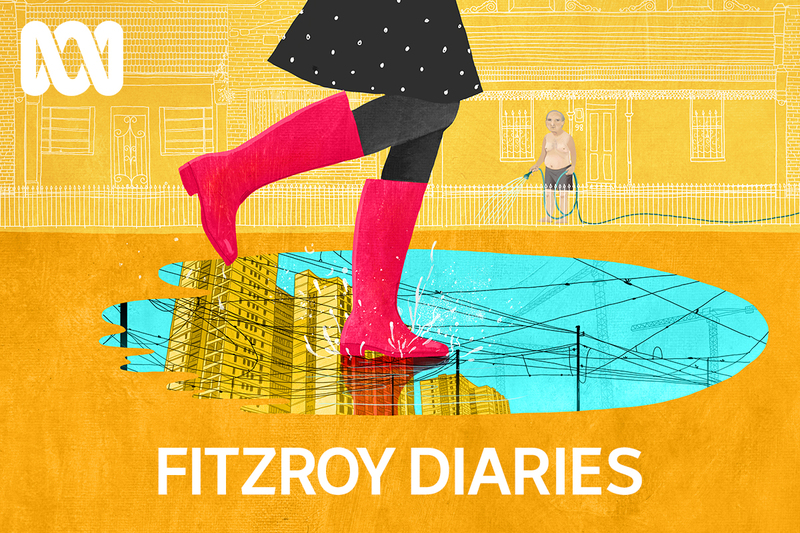 A couple of months ago I was contacted to illustrate a hero image for ‘The Fitzroy Diaries’, a podcast series written and voiced by Lorin Clarke (btw, I am still a bit freaked out about the colour palette later created by the ABC design / marketing dept.– unfortunately I was not briefed about any colour prerequisites!). Happily, however, Lorin and the commissioning team were fantastic to work with, and luckily the project expanded to me illustrating each of the eight episodes in the series. Compositionally, I took my cues from mural design – graphic bold images layered atop of each other to reflect the layered stories of the audio. Having spent a lot of time over the years in and around Fitzroy (being a ‘North of the River’ gal all of my life), it was great to be given the opportunity to explore a topic and area so familiar to me. There’s also great overview of the process (including roughs!) of this project written up at the Jacky Winter Blog if you would like to find out more about the behind the scenes story. This is my second contribution to the upcoming ‘Shout Out to the Girls: A Celebration of Awesome Australian Women’ to be published by Penguin early next year… a portrait of Alice Anderson, a pioneering car mechanic who worked as a ‘chauffeur to the stars’ of Melbourne in the 1920’s, as well as establishing her own garage in Kew. Let’s hear it for the Australian women who have shaped our history and are expanding our future! 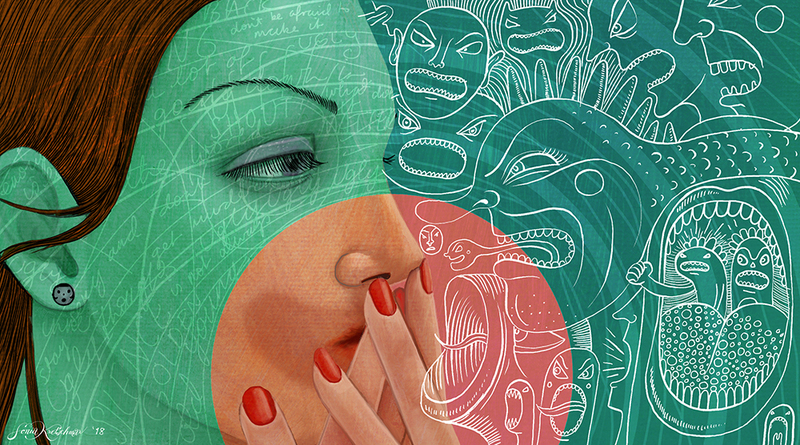 A little while back I was contacted by the good people of ‘Paper Radio’ to provide an illustration for a podcast. Being a bit of a podcast fan, especially of narrative fiction / non fiction (check out ‘Getting On with James Urbaniak’, ‘The Truth’, ‘The New Yorker Fiction Podcast’ to name but a few), I quite enjoyed the idea. The story is also quite evocative of searing Australian summers, and the kitsch elements which feature in our lives, so the subject matter was also ‘right up my alley’. All in all I think it turned out well – you can hear the podcast when it is broadcast on Sunday October 26 2014 during the 3pm show ‘Radiotonic’, broadcast on Radio National.